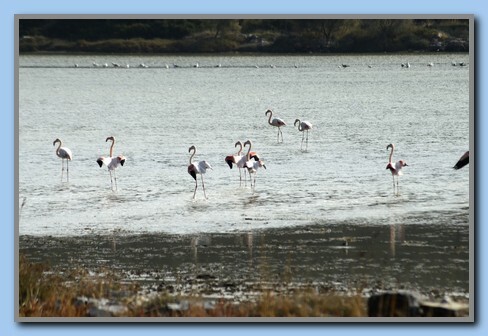 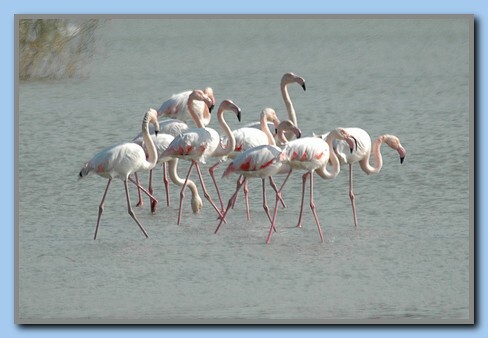 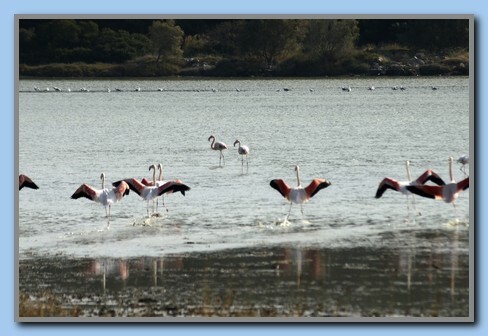 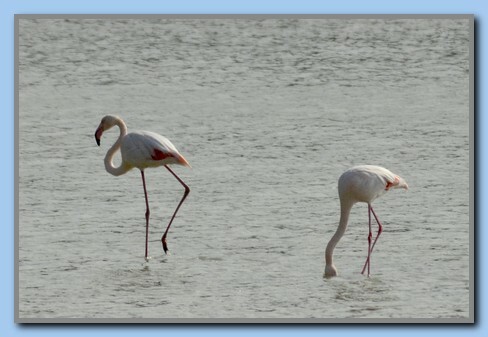 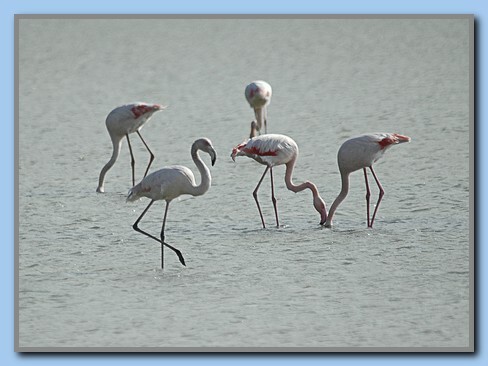 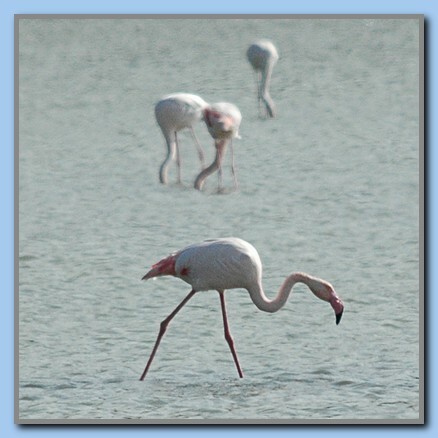 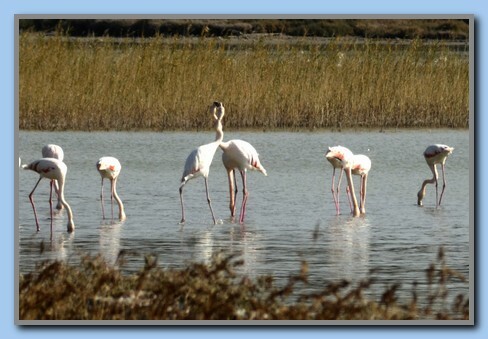 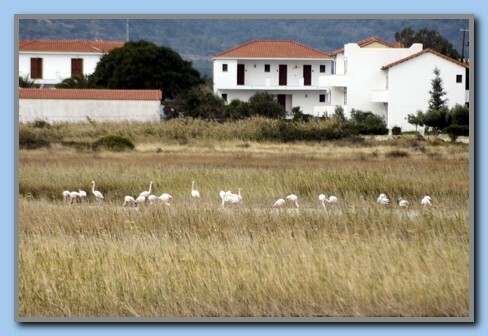 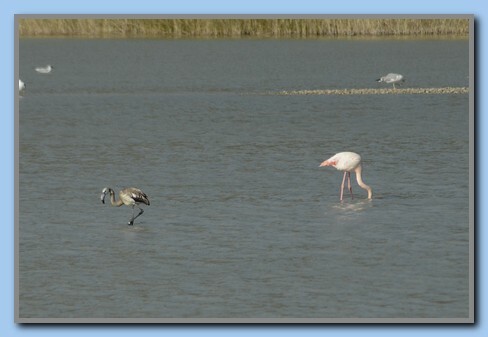 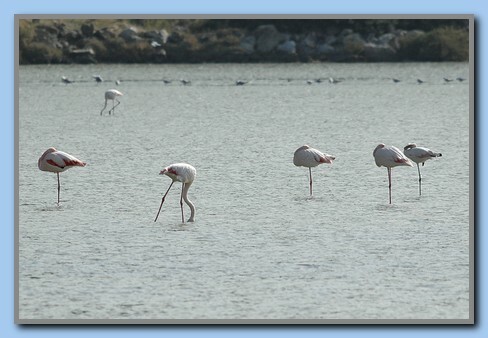 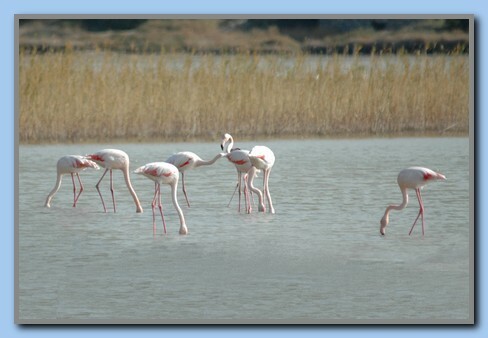 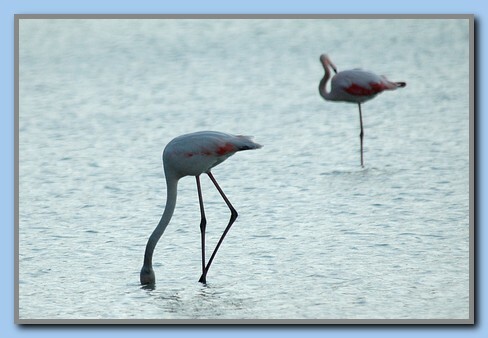 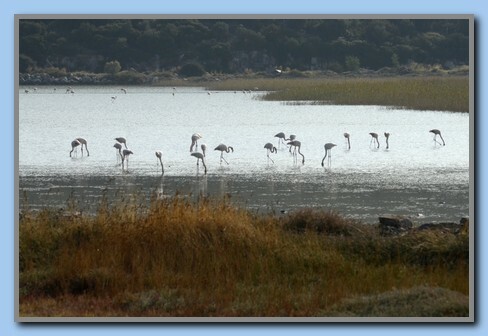 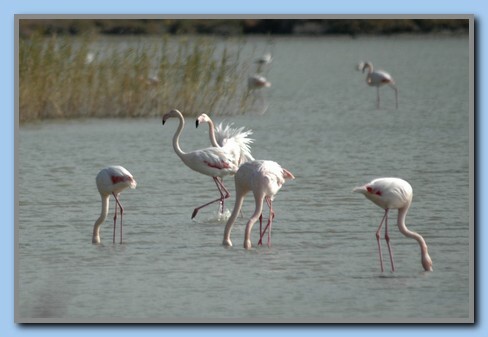 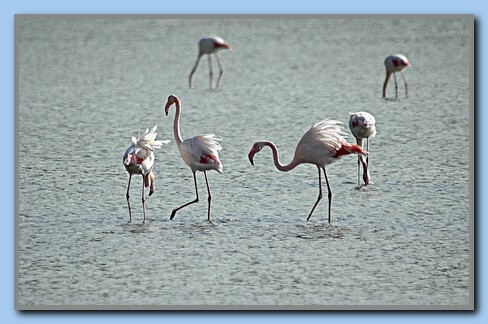 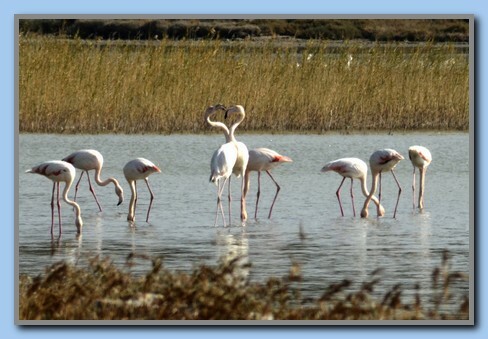 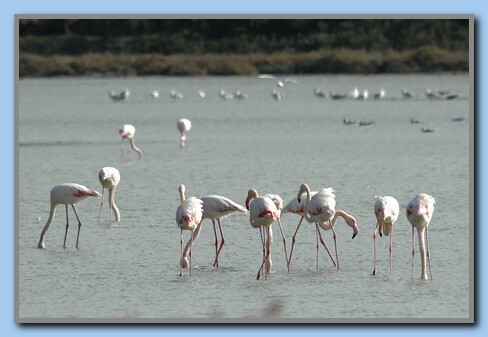 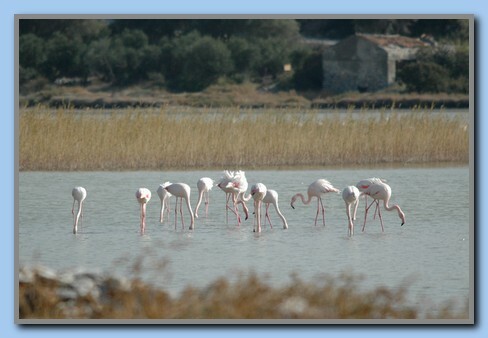 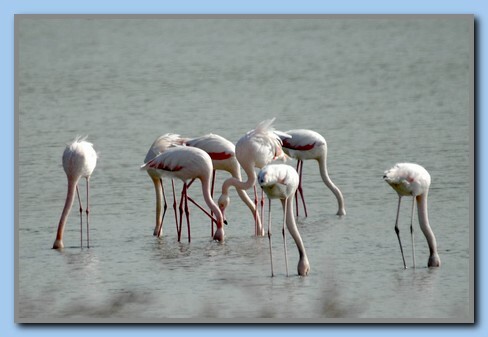 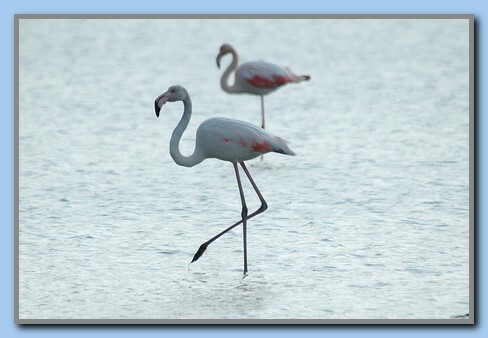 The Flamingos normally arrives to Alkyli Wetland (the salt lake by Mykali) in the beginning of November and stays until February/March. 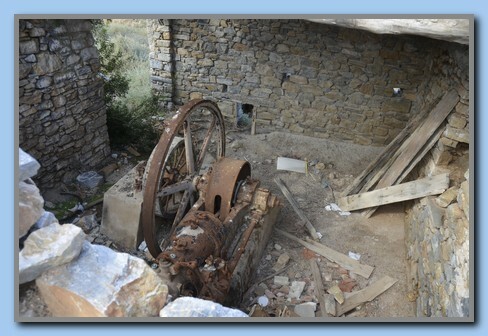 Torben checked the area 6. 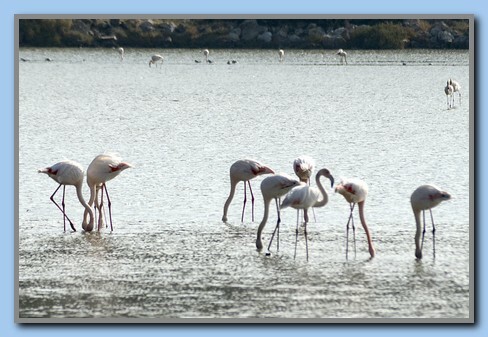 Nov. but no flamingos yet. 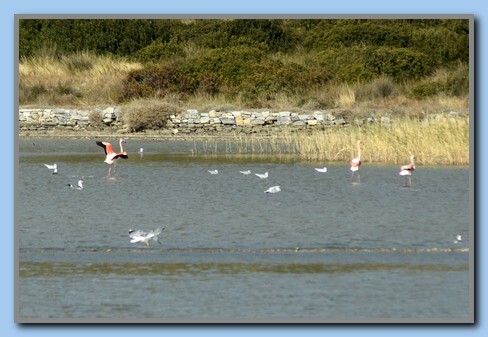 We heard that they arrived 10. 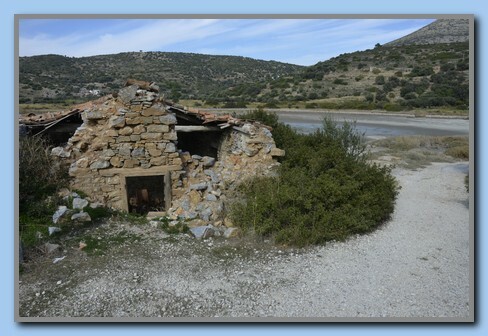 Nov. so Jan and Torben went there 14 & 17 Nov. and got some pictures. 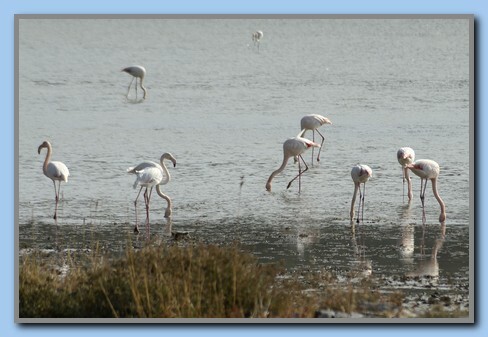 The first day we counted more than 95 of these beautiful birds, but 3 days later we only saw about 50!! 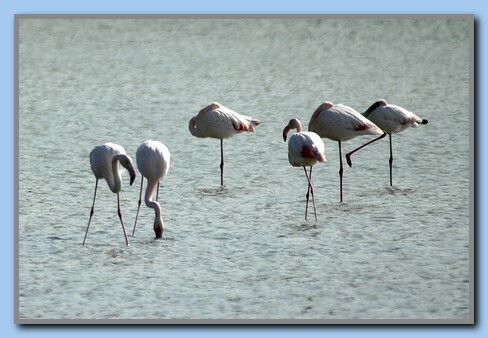 2 weeks later we heard that there was only a very few left. 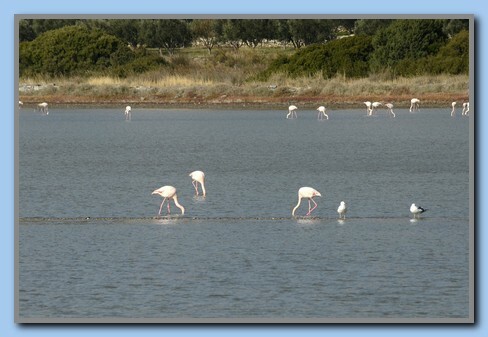 The reason is, that the water disappears due to too little rain. 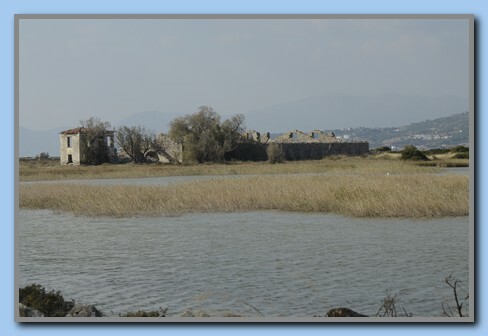 Alkyli Wetland is a part of an old salt factory and remains of buildings and machinery are still visible. 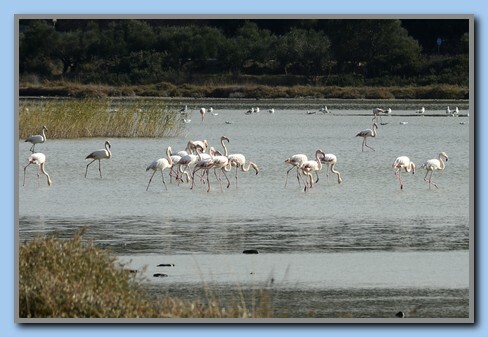 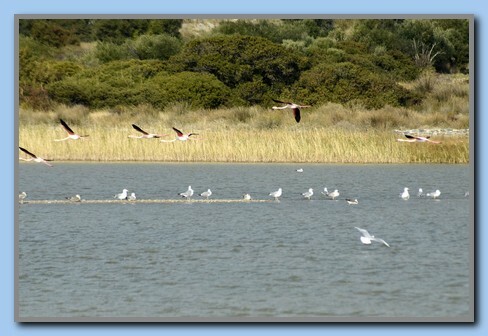 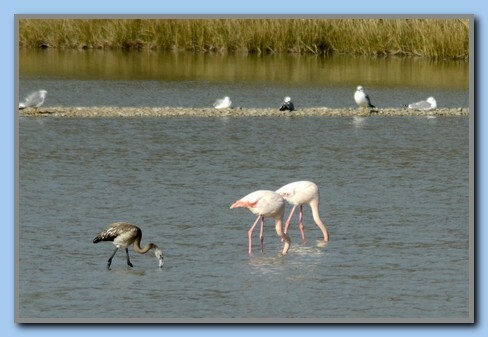 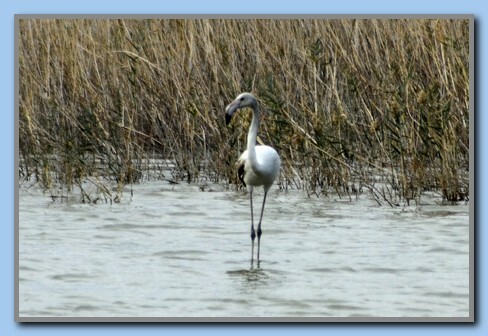 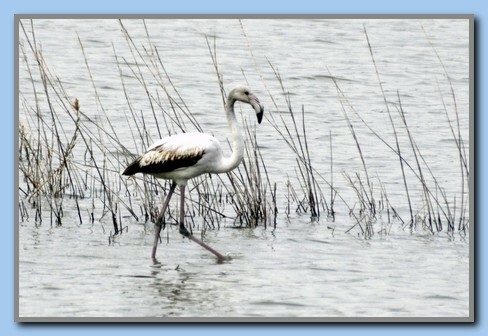 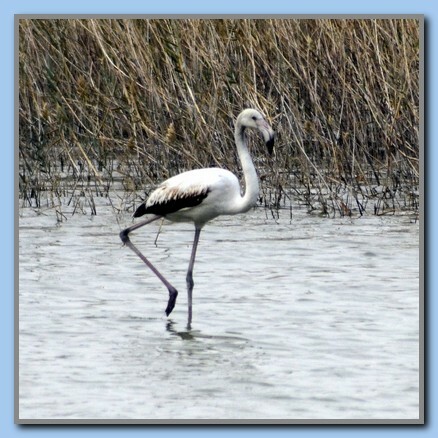 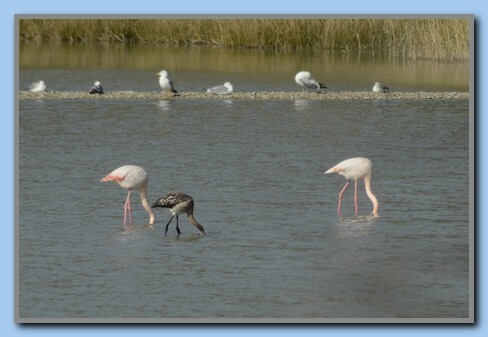 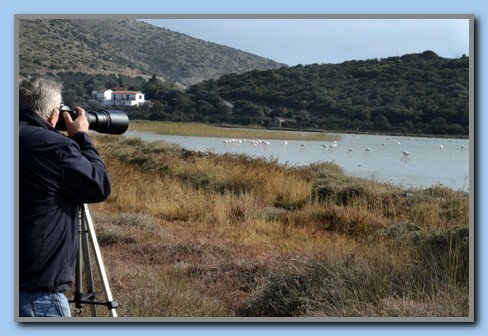 The area is now a protected area (reservate) with many different kinds of birds and it is absolutely worth visiting. 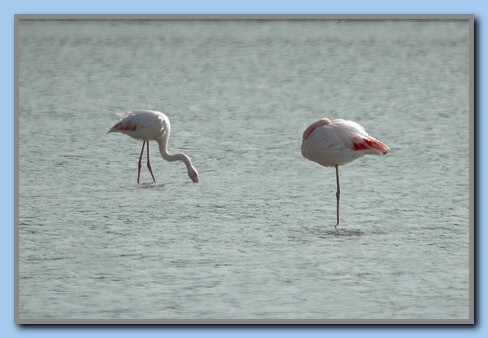 Two of the flamingos looked different and were not accepted by the others. 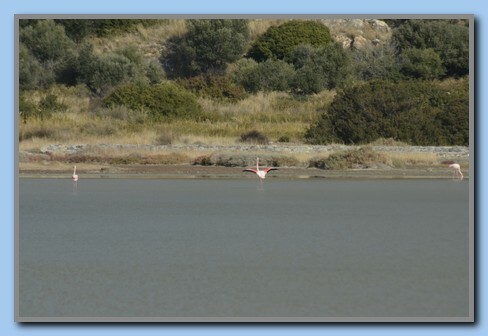 Both of them went most of the time around alone with big distance to the other birds (picture 29-34).